This Rhone blend of 70% Grenache and 30% Syrah an immature purple in color with an "all" Grenache nose of fruity pie berries galore. Robust fruit filled palate, bread undertones with loads of berries on the tartish pie side with a decent, ripe tannin bed. This is a young wine and needs plenty of air to open up so decant it several hours and serve at a decent room temperature; that doesn't mean summer time, un-air conditioned room temperature! Something closer to 65-70 degrees. Don't be shy about bathing it in an ice bath if it has been sitting on your hot kitchen counter either, just don't leave it in the water. A half hour should be enough and at the $11 price point, this is a value wine so raise a glass. Deep black cherry hue with big expressive bouquet of dark berries. Palate--Silky tannins,integrated with creamy, dark fruit with a touch of black pepper on a chewy foundation. Pure berry flavors are uncomplicated even if a little "hot." This is a solid wine and would benefit from another couple-3 years in the bottle although it is drinking well now. I paid $13 for this and is a better wine than the price so raise a glass! Medium Bodied, garnet hue with some intensity and a bouquet that on opening is brimming with cinnamon "red hot" candies, on top of strawberry fruit. With decanting, the cinnamon sadly dissipates leaving strong, strawberry aromas with chocolate covered cherries, leather and oak. This is a great start! 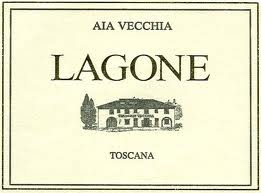 Palate--Mellow tannins that are still tight enough to carry this wine for another several years, but red berry flavors abound with an element of Tuscan terroir. Although it finishes a little quickly, this is a superior wine and for $12.99 it is a ridiculous value. I'd grab a case except I bought it out of state. This is not Sangiovese based, it is a blend of Cabernet Sauvignon, Merlot and Cabernet Franc, your classic Bordeaux blend. This wine will be in the running for one of my top ten picks of 2011 so if you see one, snag it and raise a glass! I characterize this as a good, solid Chardonnay. It shows its oak influence, but all in proportion. While the price has crept up around $20, look for it on sale. I grabbed a bottle for $13 which was a good deal. Plate up some fish and fresh greens and raise a glass! Garnet hue with milk chocolate overtones on strawberry-cherry aromas surrounded by brambly, wild berry Zin fruit. Palate--Nice first impression in the relaxed style with big flavor, integrated, cherries and strawberries in a somewhat atypical Zinfandel style. This is quite tasty but unique as it reminds me of what a supercharged Pinot Noir might taste like if you can imagine! It is easy drinking by itself but was nice with our charcoal grilled, spiced pork chops. This was recommended by Gary Anderson of the Lily, Lupine, and Fern wine shop at 11 Main Street, Camden, Maine. This is a NICE wine shop which is unique by Maine standards. It is a fairly small store but the selections are intelligent and are solid, if not great wines, which I have not seen in most, if any stores in Maine! Shafer, Far Niente, Chateau Montelena (of the Paris tasting fame and the movie "Bottle Shock")and many other premier producers we don't see in these parts. If you are in Maine visiting the coast, be sure to stop in and let them recommend a GREAT bottle of wine and it won't bankrupt you either. I paid $20 for this Zin so Raise a Glass to the beauty of the Maine Coast! This wine is generous and richly textured, with good depth of fruit and interesting layers. It's almost exotic in its combination of fruit, spice, and earth. I paid $18 for the pleasure of opening this bottle, and it was well worth it. Pair with roasted poultry, eggplant dishes, or enjoy on its own. Just raise a glass! This was the third of three Pinots in a row. Unfortunately, it comes up a little flat. I generally enjoy Sebastiani wines, so this bottle was a little disappointing after many good experiences across their line up. While I paid $19 at a little out of the way place in Colorado, I often see this wine priced at $13-15. Even so, I recommend you seek out the wines posted above instead and raise a glass. Garnet hue with a rustic cherry front with subtle wild cherry fruit on an earthy frame. 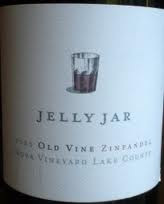 Palate--A bit coarse (immature)tightly wound with stingy fruit and a touch of smokey oak. This wine needs a couple more years on the shelf to appreciate what I think is there. Still it is a good example of Sangiovese even though this is a "Super Tuscan" blend. Disappointing at this stage for $16 but will get better! Raise a glass. Bright super ruby hue with bright red creamy berry aromas of candied red fruit with touch of cinnamon. Palate--Bursting wondrous pure, intense red berries with Zin backbone, almost lady- like structure and refined tannins. This is one of the cleanest, purest Zinfandels I have had and I have had a bunch. I am a Zinfandel freak. This is uncomplicated, straightforward, finessed, delicious Zinfandel and a nice food wine to boot. My wife bought it for me as a gift. It was $22 which is more than I normally pay for my wine, but what a nice treat. Raise a glass to the only truly American grape! Palate: delightfully spritely on the tongue with expert balance of dryness and structure. 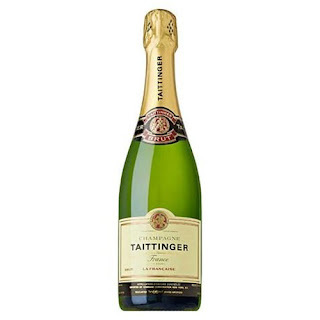 Overall: a delightful citrussy Champagne for a reasonable price. I paid about $35 for this at a local wine shop. I prefer it over a more expensive but less character-driven Champagne like Veuve. It is easy drinking without being snobbish. If you love a citrus driven sparkling wine and have a reason to celebrate, pick up a bottle of Tattinger and raise a glass! Deep black cherry hue with Zinfandel-like berry aromas with big fragrant, cigar box heft. Palate--*"Sweet" foundation of plum and a front with ample berry flavors and black pepper at the rear. 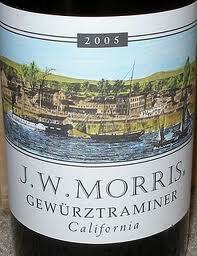 This is a big wine, with big flavors and at $5 on closeout, it is a bargain! (Normally runs at the ubiquitous $10 price point) Raise a glass to close out wines that pan out! *"Sweet" in this instance does not mean "SWEET" like you might expect. 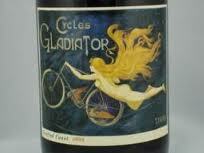 But some red wines, from Cabernets to Zinfandels that a dry as dust give a sweet" impression. Light aged looking red with yellow hints at the rim. The bouquet yields stewed apricots and prune on a light, sweet foundation; after some time there is an amazing sweet basil aroma that saves this otherwise unremarkable wine. Palate--full, thicker texture with some heft, and sweet acid frame. Fruit hints at a very light bodied port like wine as this is another fortified dessert wine. It was pleasant enough and I raise a glass to (NW) of this blog from whom this wine came as a gift. 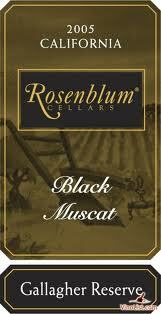 But I suggest Rosenblum stick to what they do best which is Zinfandel! Nose: Big apple explodes from the bottle even before pouring a glass. In my glass the green apple is more subtle and nicely blended with warm bread dough notes and a mineral oil foundation. More character here than I was expecting. A pleasant surprise! Palate: Strong mineral and lime flavors in the mouth. Very dry. Bubbles are extremely small and lazy. They ooze around rather than dance. Finish: Lemon grass on the long finish. Overall: The nose is intriguing and the finish delightful. The bubbles and mouth feel are small which means you can pair this with almost anything you would a non-sparkling table Chardonnay. For the price you can find something that dances. I paid $16 for this sparkling wine at the local store. This New Zealand sparkling wine is made in the traditional Champagne way. It is a blend of 76% Pinot Noir and 24% Chardonnay from Bendigo, Central Otago, New Zealand. The Kiwis definitely know their way around wine. It is no surprise that a sparkling wine from there has made its way up here. This is a non-vintage, as many sparkling wines are. This means you will not see a year on the bottle. Rather it is a blend of wine from several years. Deep dark black cherry hue with a bouquet of coarse dark berry aromas with blueberries, a little bottle stink, yellow mustard--Hey I just review them as they come! Palate--a bit harsh, tight; first impression is there's not much there but I know better. This IS Numanthia...with air it mellows out with black pepper hints, blueberries, some rugged spice, and more dark fruit with a smokey finish. The folks at Numanthia are some of the world's experts in Tempranillo colloquially known as Tinta De Toro. I have been under treatment for some allergy things so my palate may be off a bit; the good folks at the Wine Spectator gave this wine a 93! I have been cellaring this bottle for 3 years having paid $24 for it. It is solid but honestly I am not impressed; still like I said my palate may be off! I am pairing this with grilled burgers on a real charcoal grill for the 4th of July. It will be great! How I thank God for our brave predecessors who gave their lives for my freedom and lifestyle. Raise a glass to all who fight for right! Garnet, blackberry jam, tar, Tobacco, Sweet profile, a bit harsh, flat flavor; I'll let it open and see what happens. I'm in my Marechal Foch vineyard and working with my grapes; I had to open a wine. It's just one of those days with the sun shining gloriously, something that has been in short supply this season, so it is worthy of celebration. It is pleasant enough for $17. At $30 it would have been a rip off. No matter--today is glorious, life is grand and we are blessed. Raise a glass! Pale golden hue with a bouquet of gentle nectarine, with light spicing of apple pie and tropical fruit. Palate: Round flavors of citrus, orange, peach and a tropical fruit compote on a fairly lively foundation. Short lived but a value summer quaff chilled and served up with appetizers that are hard to pair with other wines or just enjoy all by itself. This is a Trader Joe's value around the $6 price point so raise a glass and on this day of July 4th give thanks for the sacrifices of our brave predecessors who gave us the foundations for the lives we are blessed to live! Deep garnet hue with very slight bricking; bouquet is awesome with "thick" smells of intense, black cherry and fudge with dark green herbs, and licorice. Palate--Dark fudge first impression with smoke, charcoal, thick texture, and with loads of ripe new world fruit jam on a smokey finish that goes on and on. We previously reviewed this about 2 years ago when, coincidentally, I thought it might be a Zinfandel then as well. But in those two years, this is a "different" wine and clearly shows how much a wine "may" change and improve over time. The first time around I remember it was "good." This time around it was Super! Coincidentally,it is a California "super Tuscan" blend meaning Sangiovese and Cabernet Sauvignon and Merlot. It isn't cheap at $35 but it's a nice splurge so raise a glass!